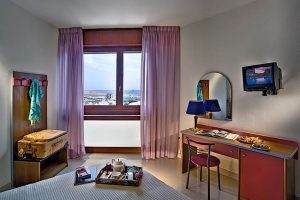 The elegant rooms at the 4-star Hotel Le Tegnue in Sottomarina have a view of the beach and come complete with all the modern comforts: Personalized air conditioning and heating, mini-bar, Satellite TV, free wifi- internet, phone, electric shutter, soundproofed windows, digital safe, antibacterial floor, no moquette. 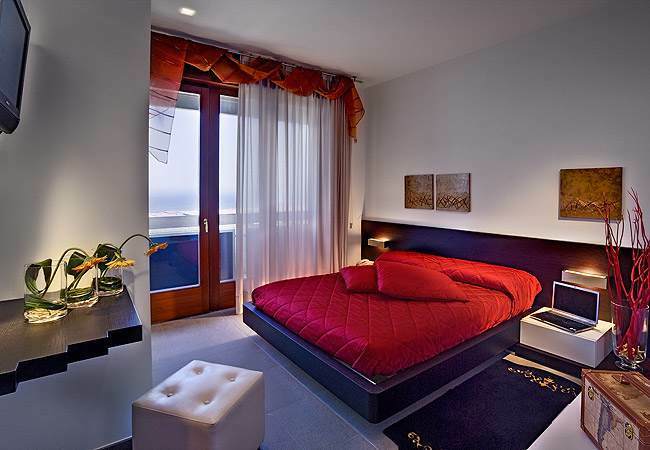 Some rooms with balcony and hydro massage bathtub. 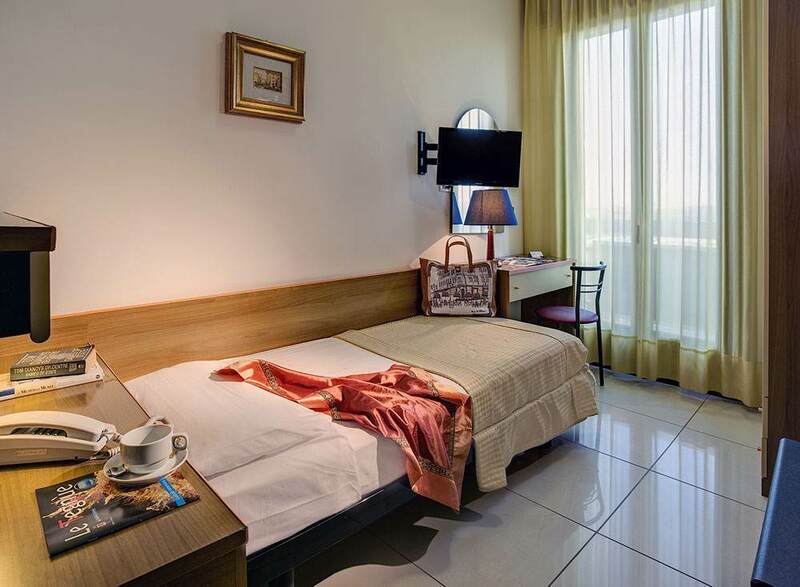 The various types of rooms, fully renovated, will meet the needs of any guest: couples, groups of friends and families on vacation with children. Personalized air conditioning, mini bar, satellite TV, wi-fi internet coverage and a direct phone line are just some of the amenities the rooms at our hotel offer. Double Room faced on quite internal side of the Hotel with small terrace, sea and beautiful beach view. Bathroom with shower, renewed with modern colours and light features. Room with a double bed or twin. 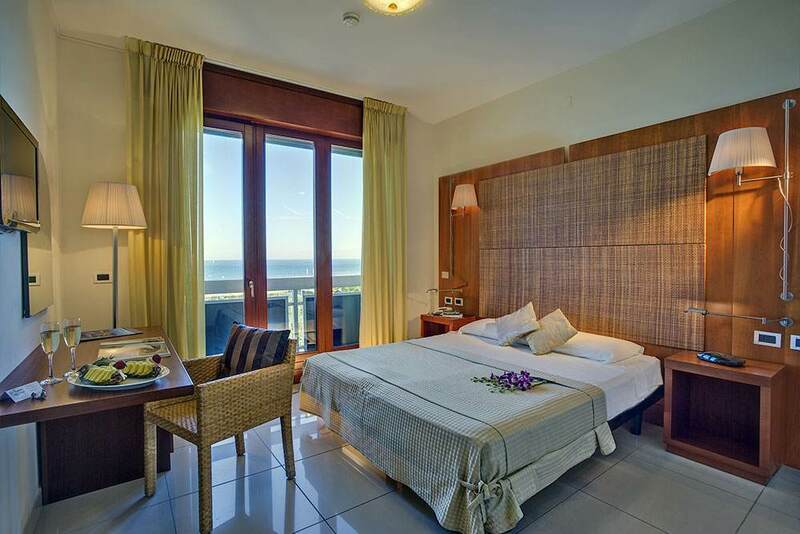 Welcoming room with single bed and terrace, located in the internal of the Hotel, sea and beach view. Bright renewed bathroom with shower and window. Wide rooms with sea view, situated over the garden. They have bathroom either with bathtub or shower at choice. 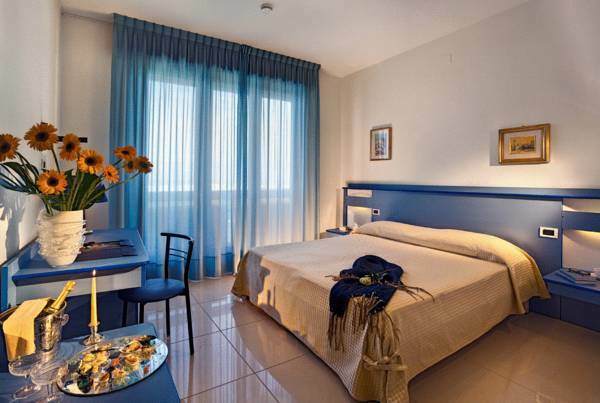 There is the possibility to have a double bed or 2 single bed and add a third bed or a cradle. 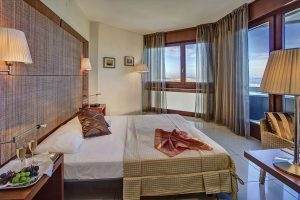 Ample-sized connected rooms with sea view. 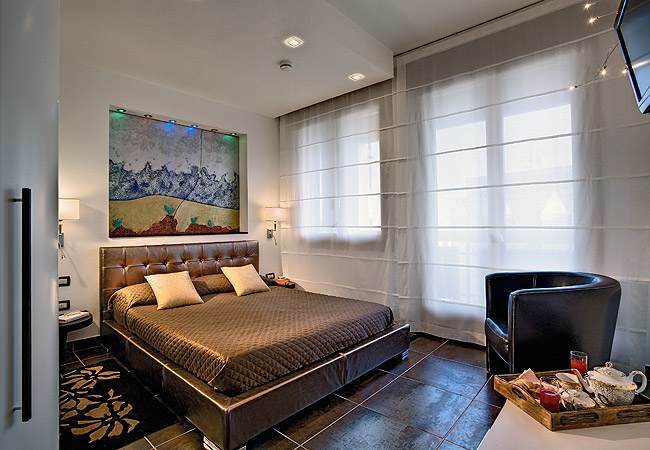 These rooms are the ideal solution for families with children to offer you advantages of neighbourhood and privacy. There is also the possibility to add a third bed or a cradle. It is the ideal room for families. It is equipped with a double bed and a bunk bed. It has a sea view and it is situated over the garden. Bathroom with bathtub. It is situated on the sixth floor and it is the ideal place for families. 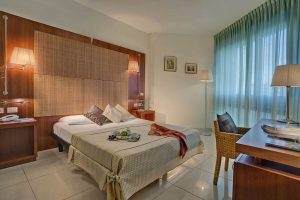 It has a roomy entrance, two communicating double rooms with sea view, two bathrooms (one with bathtub and the other with shower). 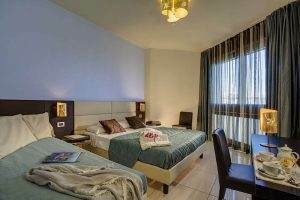 Room with a double bed or twin. A room with a sea view. It is equipped with a little balcony. It has a spacious bathroom with shower and window. Room with a double bed or twin. A wide and full of light room with a wonderful sea view. It has a balcony over our swimming pools.. Bathroom with Whirpool. Room with a double bed or twin. There is the possibility to add a cradle or a third bed. The choice of this room includes a peculiar package: fresh fruit or a welcome cocktail at your arrival. 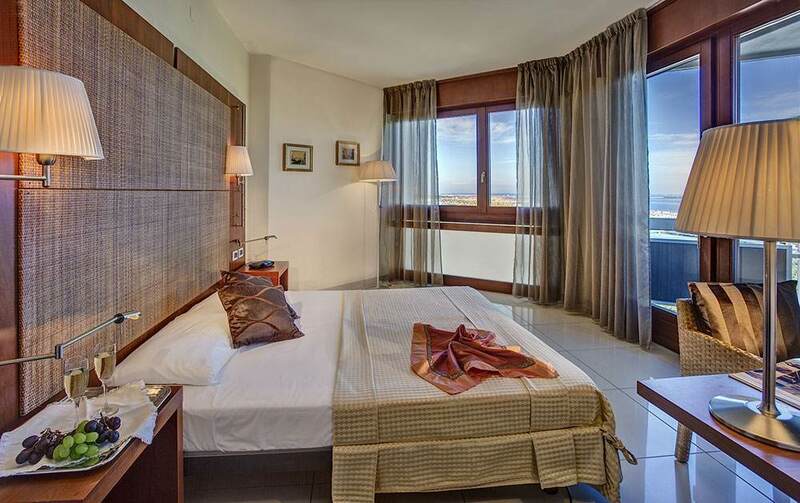 New fullfillment , the Suite offer you a sea view on the beach with two big terraces. Valuable material and modern lines exalt the beauty. Decorated with sun and sea shades. Elegant bathroom with Jacuzzi shower pleasantly relaxing and toning up with window, double sink. Included one bathrobe for person. Double room with chromatic therapy and living area with sofa and flat screen tv. 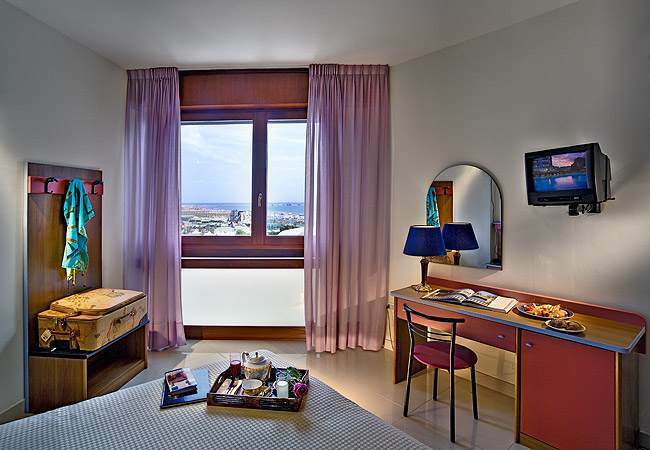 Hyppocampus Suite welcome you with its elegant and particular furniture. In the refined Jacuzzi bathroom in red shades you can essay challenging property of colours and Whirpool. Included one bathrobe for person. Two big terraces with a beautiful sea view , the floor in natural stone and attention to details complete the environment for a nice stay to remember.